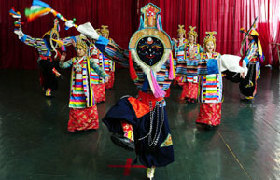 In old Tibet there was not a single school in the modern sense. The enrolment rate for school-age children was less than two percent, while the illiteracy rate was as high as 95 percent. Education is a privilege of the serf-owner class, including local administrative officials, aristocrats and upper-ranking lamas in the monasteries. 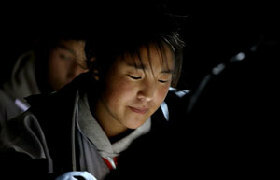 The children of serfs and slaves do not have the right to receive education. 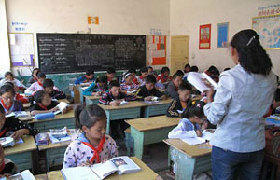 The central government invested a huge amount of funds in education in Tibet, making Tibet the first place in China to enjoy free compulsory education in both urban and rural areas. 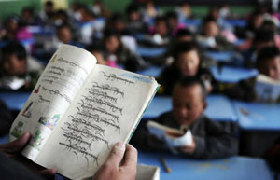 The state has set up boarding primary and high schools in farming and pastoral areas, and covered all tuition as well as food and lodging expenses for students at the stage of compulsory education from Tibet's farming and pastoral families.